Home » FAQs » What is hemp extract oil? 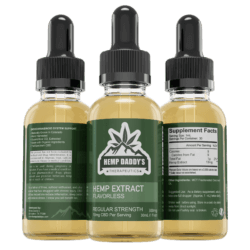 What is hemp extract oil? 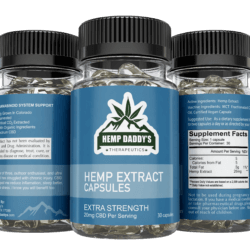 Hemp extract is a dietary supplement and an excellent source of nutrients that can be safely consumed as part of a daily diet. Unlike “cannabis oil” (generally referring to high THC oil), hemp extract rich in natural cannabinoids, is legal, and is not psychoactive, meaning that it does not cause one to “get high”. Responsible for this “getting high” effect is THC, a compound that is naturally found in the cannabis plant. We use Industrial hemp which is categorized as having less than .3% THC.